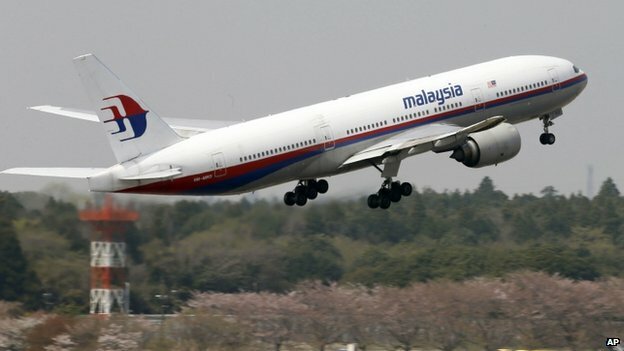 On the 8th of March a Malaysia plane from Kuala Lumpur to Beijing went missing with 239 people aboard. 122 objects potentially from the missing Malaysian plane have been identified by satellite. Images taken on 23rd March showed objects up to 23m (75ft) in length. Family members said they will “not give up hope” that their loved ones are alive until a wreckage is found. In some cases the heart broken families of the people who died were told by text message that they would never see their family members again. On Saturday 22nd March, A huge catastrophe occurred. A gigantic 177ft (To put it into perspective - that’s around 33 average 12-13 year olds stacked on top of each other) mudslide buried the town of Oso, just north of Seattle. At first there were 178 people missing but the number of people has dropped to 90 according to authorities. There is at least 35 people who have been listed with an unknown status. Unfortunately there has been 24 confirmed fatalities however the number is expected to rise as we hit the 6th and 7th days of searches. It is expected that there will be no more discoveries as it is almost impossible to stay alive under the mud for so long. Workers have been scouring the area for survivors and victims’ since Saturday and will continue through today. There has been 8 bodies which have been located however authorities have been unable to retrieve them. The search workers and dogs are growing fatigued with the constant searching and helicopters and laser imaging has been deployed over the last few days. On Wednesday night, Snohomish County Emergency Management Director John Pennington told reporters "We need to take a step back and look at the magnitude of what happened, the debris field is huge, it's complex, and it's dangerous. I don't think we have a lot of answers. All I can definitely say is that we have a number that is 90 and we're going to pursue that as much as we can." The sudden, catastrophic mudslide on Saturday destroyed about 30 houses, temporarily damming a river and leaving a square-mile field of muck and debris in its wake. "This disaster is so enormous, I sometimes think even the pictures don't always do it justice. The number of families that have been impacted, the number of people that they've lost, the number of people who are still missing. It's truly, truly heart-breaking." ," said Congresswoman Suzan DelBene, who represents the area. As a fifth day of searching came to a close, officials have said they have little expectation they will find anyone alive. "It just generates so many questions if they don't find them," Becky Bach, whose brother and three other relatives are missing, told the reporters. Local officials have begun turning away the streams of volunteers hoping to aid the search effort, Mr Pennington said. The one square-mile debris field is pocked with deep pits of water and strewn with sharp and dangerous wreckage, including fallen trees, propane and septic tanks, destroyed vehicles and smashed timber. Typhoon Haiyan was a devastating typhoon that hit the Philippines on November 8th 2013 with its highest wind speed recorded as 195mph, the effect that the storm has had on the people in the country is unbelievable. Over 6000 were killed in the storm, and many more are missing to this day. There are very few in the hit areas that have any shelter, and rely on others who are more fortunate that themselves to get basic amenities. Although the situation is better thanks to the aid given, the state of the country is still appalling. The Philippines are in desperate need of help. Many volunteers have travelled over to the country so that they can help to rebuild the livelihoods of the people affected. Earlier this academic year, Jo Butler, a mum of one of the students in school, came over from the Philippines to talk to us about the work she has been doing to help the children there.